Welcome to our site– I’m so glad you visited! 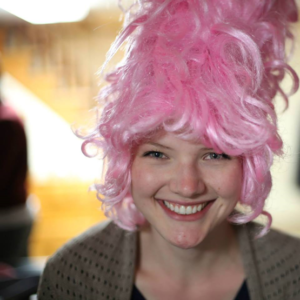 My name is Sara, and I’ve been working with Events at Vanderbilt professionally for 3 years. My role is to curate a student employment experience unlike no other on Vanderbilt’s Campus. I work side by side with supervisors in each area of our department to make sure students both enjoy and learn from their job. If you’re currently looking for an on campus job, check out our Apply page and see what opportunities might be waiting for you. If you are just passing by with interest in our work, check out the Our Team page and email if you want to connect. With more buildings and events to manage every year, the Student Centers department continues to rely on our incredible student staff. We are so proud of our students and their behind-the-scenes work that adds to the campus hum of programs, events, and meetings. We believe in making student employment “more than a paycheck” and developing students for a lifetime of success after they leave our team. 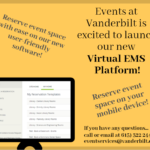 Hear from some of our current employees on their “why” behind working with Events at Vanderbilt!